"The Baldwins and Its Riotous Tales are a Delight"
The members are a bright lot, and their time together has yielded easy interaction. The show last Monday was quick, witty and bizarre — I often wondered why I was laughing but still couldn’t stop. As is the case with most improv groups, each member is aware of his or her strongest characteristics and deftly molds those distinctions into each character. Brett Wean utilized his disarming smile in the portrayal of fools and children; Chris Griggs’ deadpan made him perfect as a country singer lost in a colonial theme park. One of the smartest turnarounds involved Jen Curran: While her first few characters were very earth mother and comforting, she gave one of the night’s funniest performances as a Mary Kay Letourneau-type lunch lady, seducing her young cafeteria patron with the slow drizzle of gravy over mashed potatoes. Enhancing the show was the calling back of certain plotlines. Sometimes it was just an aside in a later scene or a springboard for later action, but these little remarks helped tie the larger show together and showed the close attention the performers were playing to their own work. The show’s halfway point saw the introduction of the epic story of the Tube Baby, played by Wean and mothered by Meg Griffith’s riotously hapless security guard. What began as a one-liner within Griffith’s larger story became the scenario most often returned to by the players. The Baldwins recognized its funniest tale and ran with it, and the audience howled at its many iterations. One night with The Baldwins, and I was witness to a myriad of tales referencing national holidays, Cockney accents, dystopia, genetics, the prison system and inter-office affairs. If this single night was so irreverent, nuanced and clever, every week must contain more of the same. 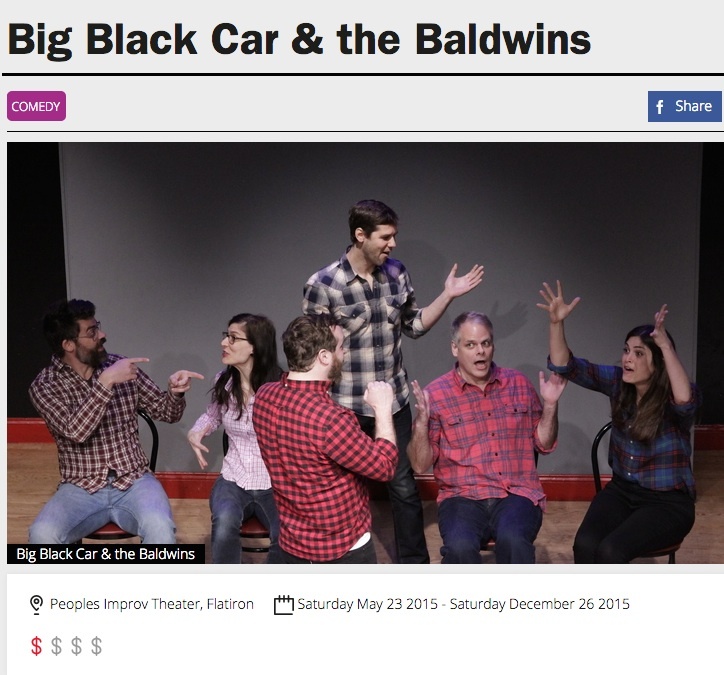 You can see The Baldwins on Wednesdays at 9:00 p.m. at the People’s Improv Theater on 154 W. 29th St. Because of the constantly changing schedule, visit thepit-nyc.com/monthly.html for a calendar of the PIT’s many shows. for his photographic stylings of our B'wins Key Party Picture!!!! December 2009 was Baldwins Awareness Month. 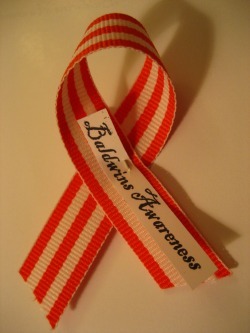 In December 2009, over 100 PITizes received Baldwins Awareness ribbons in thanks to their outpouring of laughter and support for The Baldwins, who so desperately needed their love and attention. Remeber: right now, there is a Baldwin who needs you and your laugh says, "I can help."